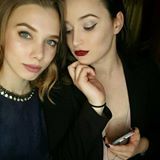 @hannaloretta is on Carousell - Follow to stay updated! 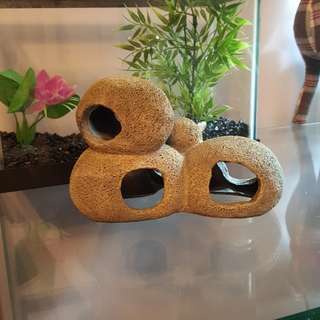 Tank decor for fish who like to hide. Its fits into the 2.7 gallon tank I'm selling but not the one pictured behind it. Selling for $5 obo. 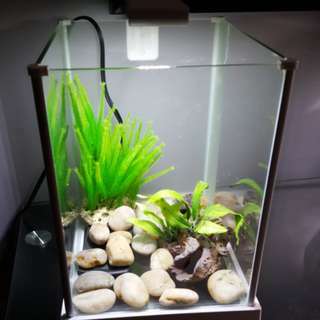 1.25 gallon fish tank, perfect for small spaces. Selling for $15 obo. 1.5 gallon fish bowl with world map printed on the back of it. 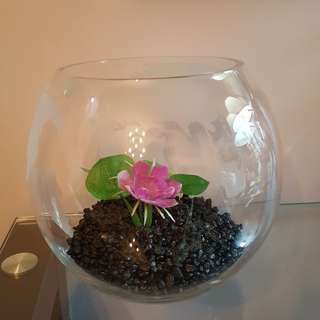 If wanted you can also have the gravel and artificial plant that are pictured at no additional cost. Selling for $15 obo. 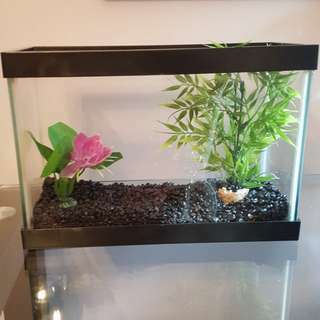 2.7 gallon tank with light and other accessories (heater, stones, fake plants) if wanted. Perfect for desktop nano aquarium, no filter. Price is $35 obo.